With blessings of his Holiness, Sri Sri Sri Tridandi Srimanarayana RamanujaChinna Jeeyar Swami Ji. The Mahilia Arogya Vikas Team of the twin cities along with the co-ordinator, Smt. 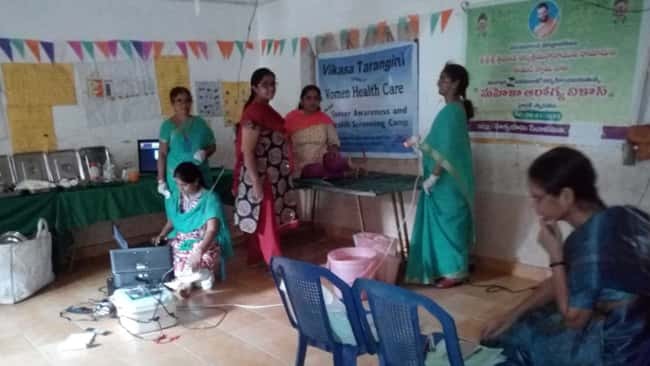 Suneetha Madiraju conducted a women health camp. Survey conducted at Ibrahimpatnam (Vi), Hyderabad. 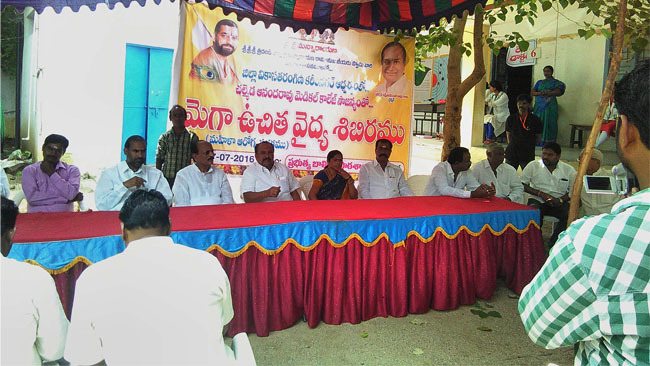 A Mega Health camp was held on 18.11.18 at Community Bhavan, Ibrahimpatnam, Hyderabad. Total attendance 325 people. Multiple health check up was done by the JIVA, JIMS Homeopathi Medical College Sriram Nagar. Mahila Arogya Vikas Members, Sujatha (9247210578), Usharani (9440536684), Padmasri (99491847780), along with the Co-ordinator Smt. Suneetha Madiraju assisted the camp.